Last week, I shared a easy dessert for one that you make in a microwave. This week? An easy dessert for a crowd that you make in a slow cooker. Notice the theme here? Dessert, made easily. It’s the season when easy is the way to go. This recipe is floating all around the internet, but I had it when a friend hosted a dinner group recently. It’s perfect for a winter night. And because it needs to sit for a while after it cooks, it's handy for a dinner party. Turn off the slow cooker just before you serve dinner and dessert will be ready when dinner is finished. SPRAY the inside of a slow cooker lightly with cooking spray. COMBINE the gingerbread mix and milk together in a mixing bowl until moistened. Stir in the raisins. (The batter will be thick.) Spread the batter evenly in the slow cooker. COMBINE the water, brown sugar and butter in a medium saucepan. Bring to a boil. Remove from heat and pour over the batter in the slow cooker. Cover and cook on the high power (don’t use the low power setting) for 2 hours. The center will appear moist, but it will firm up as it stands. Turn off the cooker and let stand for 45 minutes to an hour. SPOON into dessert dishes and serve with ice cream or whipped cream. In the season of excess, it's hard to believe we might crave dessert. Sometimes, though, just a little bit of chocolate is what you need. Some of us don't like to have the temptation of a whole cake or a big batch of something. That's when the mug cake comes in handy. It's a single serving of cake, made in a coffee mug. You can make it in a couple of minutes in a microwave. And it lends itself to endless experimentation. Messing around with several recipes, I hit on the perfect combination: Nutella and raspberry jam. You can swap the Nutella for peanut butter, skip the raspberry jam. It's up to you. It's your very own personal cake, after all. WHISK the flour, sugar, cocoa and salt in a small bowl. Whisk in the egg, oil and Nutella (or peanut butter). Stir in the chocolate chips. SPREAD about half the batter in the bottom of a large coffee mug. Top with the raspberry jam, then top with the remaining batter. MICROWAVE on high (100% power) for about 2 minutes, until it's puffed up. Serve immediately, topped with a little whipped cream or vanilla ice cream if you absolutely insist. Today's event is a real page-turner: The Observer's ever-energetic Jennifer Rothacker has set up a huge event with local authors ready to sell and sign (sign and sell?) their books at the Mint Museum uptown, 500 S. Tryon St. It's a pretty high-flying group of authors, including novelists Kathy Reich and Jason Mott, And it includes a few food books: Lisa Leake will be there with "100 Days of Real Food," and I'll be there with "Pecans" and "Bourbon" from the Savor the South cookbook series. The authors and their books are all available from 11 a.m.-2 p.m. in the Mint's atrium. The whole event is free, except for the cost of all those books you buy; seating for the noon talk is first-come, first-seated. And if you buy a book, you get a one-day 50% discount on museum admission and a 10 percent discount on lunch at Halcyon, the museum restaurant. Details and the full list of authors: Right here. As a fan of the former shop Jimmie's Sweets in Matthews, I was saddened to hear of the passing of Jimmie Williams on Nov. 25. Williams' shop, in the Matthews Station near the town hall, was known for great pound cakes, but I'll confess I was also a fan of his caramel crunch cookie, which had the most amazing icing. Williams was a basketball player in college, then went into the Army. He started his first bakery in West Virginia, then moved to the Charlotte area to join his wife, Cindy Hudson, and opened his Matthews bakery in 2006. It was a sweet, simple shop, painted in candy colors, with cases filled with cakes, brownies and cookies. Thanks for the sweet memories, Jimmie. My condolences to his family. They had me at bacon. And potatoes. Now that we're almost officially in the full-on party season, it's time to sock away a few easy ones you can whip out at a moment's notice. This one will probably stay stuck to the refrigerator door through the Super Bowl. I repeat: Bacon. And potatoes. Oh, and sriracha. From "The Kitchn Cookbook," by Sara Kate Gillingham and Faith Durand (Clarkson Potter, $32.50). DRAIN the potatoes and put them in a large bowl. Add the rosemary, olive oil, remaining 1/2 teaspoon salt and a few grinds of pepper. Toss gently until evenly coated. PLACE the potato bites on the baking sheet, an inch or 2 apart. Bake 15 minutes, then flip each one and cook 15 to 20 minutes, until the bacon is cooked through. MIX the sour cream and hot sauce in a small bowl and season to taste with salt and pepper. Pile the hot potato bites on a plate and serve with the dip. Bitterness is in this year, particularly in cocktails. Before a meal, it makes sense: Things that are just a little bitter can make your mouth water, and that whets your appetite. One of my discoveries this year has been the Italian vermouth, Carpano Antica. Now a big bottle lives in the back of my refrigerator, ready to give a hit of bitterness to a few special cocktails. Having a special cocktail ready for Thanksgiving guests is a nice touch. When I saw this combination of cider and vermouth on the website Serious Eats, I thought it had the makings of a great holiday drink. And it did -- when I modified it to add just a little bourbon. PLACE the brown sugar in the bottom of a rocks glass and squeeze in the lemon half. Add the Carpano Antica, bourbon and cider. Add several cubes of ice and top with sparkling water. Need help with your holiday dinner? Cornucopia, the special holiday market put on by the Common Grounds Farm Stand, 119 Huntley Place, will feature dishes made with local ingredients, and proceeds benefit the Urban Ministry Center. The event is 9 a.m.-1:30 p.m. Nov. 22, but you need to get a jump on it before that: They're taking orders now for special dishes, and the popular stuff does sell out. The deadline for preorders (including entrees, soups, sides and breakfast dishes) is Nov. 13. Go here to get an order form that will tell you want to do. If you don't pre-order, there will still be plenty of good things to buy. Vendors and producers include Paige's Provisions, Chef Charles, Delectables by Holly, The Naked Pig, Goat Lady Dairy, Tega Hills Farm, Lit'l Taste of Heaven, Duke's Bread, Well-Dressed, Greeneman Farms and others. Zone 7 of Charlotte is taking orders until Nov. 17 for Thanksgiving sides. Braised local collards, Jack Daniels smashed sweet potatoes and organic green bean casserole is $4 per person, 6-person minimum; organic cranberry and orange chutney and local-turkey gravy are $6 a pint. Details and orders: Zone 7 Thanksgiving. Party down the Swedish way at IKEA's Julbord on Dec. 12. You can get tickets ($14.99 for adults, $4.99 for kids 12 and younger) for a traditional Christmas buffet. Expect multiple versions of salmon, ham, meatballs (of course), Swedish vegetable dishes (potatoes and cabbages, apparently) and desserts. Oh, herring and glogg will be involved. Luckily, you don't have to assemble your own chair. But seating is limited, so you might want to buy a ticket in advance. Would you argue with a Church Lady? Actually, as a church lady myself, I can't promise not to argue. But I definitely don't argue with Anne Byrn. Byrn's new project is "Anne Byrn Saves the Day Cookbook" (Workman, $18.95), one of those books loaded with simple recipes that will come in handy. Her Church Lady Casserole came from her Aunt Janet, and it's perfect for holiday brunches. You can make it advance, and use it to fill out a spread, or you can jazz it up by adding diced ham or cooked sausage. With family-gathering season coming up, I'd keep the Church Lady Casserole very handy. From "Anne Byrn Saves the Day Cookbook." PLACE a rack in the center of the oven and preheat the oven to 300 degrees. PLACE the cottage cheese in a large mixing bowl and add the eggs. Blend using an electric mixer on low speed or with a wooden spoon until the eggs are incorporated. Add the melted butter, flour and cheese, stirring until just combined. Season with salt and pepper to taste. POUR into a 13-by-9-inch glass baking dish. Bake until golden brown and puffy, about 45 to 60 minutes. Serve at once. MAKE AHEAD: Assemble the casserole the day before, cover with plastic wrap and refrigerate overnight. Uncover and bake directly from the refrigerator, uncovered, for 5 to 10 minutes longer than the time called for in the recipe. McDonald's (yes, as in the Golden Arches) is testing out a new line of mini bundt cakes and there are only a few places in the country where you can try them. Yes, Charlotte is one of them. So, on Friday, Nov. 7, at all 133 McDonalds in the area, including Rock Hill, Fort Mill, York, S.C., Mooresville, Statesville and Hickory, you can get a free mini Bundt coffeecake in chocolate or cinnamon flavor. Just don't stick a flower in the middle, OK? If Dana can do it, anyone can do it. That's the message, anyway, in Dana Cowin's new cookbook "Mastering My Mistakes in the Kitchen: Learning to Cook With 65 Great Chefs and Over 100 Delicious Recipes" (Ecco, $34.99). Not everyone who writes about food can actually cook it. In her work as the editor-in-chief of Food & Wine magazine, Cowin has to know the chefs, the restaurants and the trends. The recipes? Maybe not so much. So she set out to change that and get the chefs she deals with to help her figure out how to cook for herself. The result is a fun book, with tips and approachable recipes. Despite our lingering late-summer this year, frost will hit soon, and it will carry off the last of the seasonal tomatoes. That will leave us with months of longing for something fresh on our plates. Cowin's easy salad would be great with the last of the "real" tomatoes and handy for the grape and cherry tomatoes we get after they're gone. From "Mastering My Mistakes in the Kitchen," by Dana Cowin. WHISK together the yogurt, salt, horseradish and vinegar in a small bowl. Add as much Tabasco as you like. PLACE the tomatoes on a platter and scatter the celery and olives on top. Drizzle with the dressing and serve immediately. MAKE AHEAD: The dressing can be refrigerated for up to 3 days. Add some sophisticated takes on fall party drinks, including a shrub, a toddy, mulled wine and a soulful take on an apple cider punch. And some sophisticated cocktail talk, from the always sophisticated Stefan Huebner (Heist), Kevin Gavagan (Haunt Bar) and Gary Crunkleton (The Crunkleton, Chapel Hill). For the younger, more playful set, how about some Harry Potter-ish butter beer? This one is an online-exclusive, from a new book written by the founding editor of Buzzfeed. And for the final touches for your party, get the formulas for fake blood, dry ice and a few other Halloween party treats. Andrea Weigl talks Southern food with the always-interesting Sean Brock, on the occasion of his first book, out this fall, "Heritage." We've seen it and it's lovely, Sean. Really lovely. Even the Velveeta fudge. My recent story on the Brunswick stew at the Mallard Creek Presbyterian Church barbecue meant that I needed to retest and rewrite the version of the recipe printed in the 1970s, to make it easier and to make sure it worked. And that meant I ended up with a lot of Brunswick stew in the freezer. After inviting friends over to eat the bounty, I needed a quick way to round out a simple, Friday night supper. Brunswick stew begs for cornbread, but I didn't have time to make it from scratch on a weeknight. But just using a corn muffin mix was too boring. It just too a few tweaks to end up with something much better. PREHEAT oven to 375 degrees. Melt butter in a heavy, 10-inch cast-iron skillet over medium heat. Add onion and cook about 5 minutes, until starting to soften. Add the jalapenos and corn, stirring to cook briefly, just until the corn is thawed. PLACE the cornbread mix in a bowl. Pour the buttermilk into a measuring cup, then add the egg and whisk with a fork to combine. Pour into the mix and stir briefly, until mostly mixed but some lumps remain. Scrape the contents of the skillet into the batter and add the cheese. Stir again until mostly mixed. WIPE out the skillet and add the oil. Place the skillet in the oven about 5 minutes, to warm. Pour the batter into the skillet, smoothing the top to spread it out. Return the skillet to the oven and bake about 40 minutes, until the edges are brown and starting to pull away from the skillet. Remove from oven and invert over a serving plate. Cut into wedges and serve warm. Passion8 Bistro officially opens Friday on Elizabeth Avenue in Charlotte, finally relocating after years in a small space in Fort Mill. How small? When I stopped by for a media preview Wednesday night, chef/owner Luca Annunziata was showing off the sleek, tricked-out kitchen like a kid with a new toy truck he couldn't wait to drive. "In Fort Mill, I had eight burners and a fryer!" One of his assistant chefs immediately chimed in: "Now we have a walk-in." That would be a walk-in refrigerator, and Annunziata took me inside to see. He's a big farmer's market shopper -- you can spot him every Saturday morning at both the Charlotte Regional and the Matthews Community markets -- but he could never buy in quantity because he didn't have room to store anything. So he has already filled it with local meat and produce, although there were a few very understandable exceptions: Benton's Country Ham from Tennessee and pristine edible flowers from Chef's Garden in Ohio. How's the restaurant space? Warm and comfortable, with a lot of stone, wood and natural fabrics in earth tones. There's a mezzanine upstairs that eventually will be used for private event (it's not finished yet) and there's a special room by the kitchen with a chef's table. It seats 8, and will feature small plates in seven ($85) or 12 ($145) course menus. The regular menu will focus on what Annunziata calls "modernist cuisine with an emphasis on local." "That will never change. We're working with more farmers than ever." The official menu wasn't available to peruse Wednesday night, but one of the passed hors d'ouvres was an example: Truffle biscotti topped with a mousse-like foie gras butter and muscadine foam (below). The new website hadn't changed over by Thursday morning, but the restaurant opens for dinner Friday night. Check back on www.passion8bistro.com or follow Passion8 on Facebook to keep up. Elizabeth Avenue between Hawthorne and Charlottetown has shaped up into a terrific food corridor, with Carpe Diem, Customshop, Earl's Grocery, Viva Chicken and Cafe Malay, among others. The business owners have done it while enduring endless construction, first on the streetcar tracks and then, before the paving dust had settled, by a huge road project in front of Presbyterian Hospital. And they've still created a community of locally owned food businesses in all price ranges. Cheers to them for making it through -- and now it's time for food lovers in Charlotte to pay them back. There's plenty of parking in the free lot across the street and the lots behind several businesses, and it's easy to access despite the detour signs. Visit, please, and give them support for having the faith to build something lovely for the city. CORRECTION: I'm sorry, I meant Cuisine Malaya, of course. My apologies. I never know how to prepare for appearances on "Charlotte Talks," the WFAE-FM talk show: No matter how many notes I scribble to myself, host Mike Collins will ask what I call the "Mike in the Headlights Question." That's when he poses something that it never occurred to me to look up, and then says, "Kathleen, what do YOU think of that?" I pause, while the thoughts chase through my brain like a Tom & Jerry routine, and come up with something that I desperately hope sounds somewhere on this side of smart. Or I just crack a joke and hope he moves on. Anyway: Here's a link to this morning's show, (it reruns tonight at 9), and here's the story I wrote last week on pumpkin stuff around Charlotte. And here's one more recipe that I had, all marked and ready to share on the air. But I never had a chance to get to it because I was busy trying to come up with an answer to; "Why do we carve pumpkins anyway? Kathleen? Kathleen?" From "Cooking With Pumpkin," by Averie Sunshine (Countryman Press). Yes, this is one pumpkin thing that does have pumpkin in it. You can use it for lattes, smoothies or hot cocoa, drizzle it on pancakes or waffles, or use it to flavor buttercream frosting. COMBINE the sugar and water in a medium saucepan. Cook over medium heat, whisking constantly, until the sugar is dissolved. ADD the pumpkin and spices and whisk to mix well. Cook about 10 minutes, stirring frequently so the mixture does not come to a boil. Mixture will thicken and reduce in volume. What do you mean, I have to plan ahead? Plan long enough ahead to remember to defrost a batch of beef short ribs? Sometimes I can handle that, and sometimes, I can't. The beauty of this dish, from Jenny Rosenstratch's new book on home-cooking, "Dinner: The Playbook"? You don't have to make sure the short ribs (or country-style pork ribs) have defrosted. Throw them in the slow cooker while they're frozen if you want to. You also don't have to run around browning meat before you leave for work in the morning. Just throw it all in and it will turn out fine. Add some mashed potatoes, rice or egg noodles when you get home. Yell, "Dinner!" From "Dinner: The Playbook," by Jenny Rosenstratch (Ballantine Books, 2014). COMBINE all the ingredients in a slow cooker. Stir in 1/2 cup water. Cover and cook on low setting for 6 to 8 hours. The winner of a copy of "100 Days of Real Food," by Lisa Leake is Jodi Fahey of Fort Wright, Ky. Thanks, Jodi, and thanks to the many, many people who entered the drawing. Stay tuned, we'll give away another cookbook soon. Who's the new chef at Rock Salt? High-end oyster bar and restaurant Rock Salt, under construction at Park Road Shopping Center, has been drawing a lot of curiosity. It's a project of Cheasapeake Bay-based Rappahannock Oyster Co., which farms oysters and runs restaurants in Virginia and Washington. Now the new chef has come forward: Jay Pierce of Lucky 32 in Greensboro is pulling up roots and moving his family to Charlotte, with an opening date of early January. "(Charlotte) seems like a bigger canvas to paint on,” Pierce told me Tuesday morning. Pierce also is an author in the same Savor the South series that includes my two books; his book, "Shrimp," will come out next spring. Pierce is from Louisiana, and worked at two of Emeril Lagasse's restaurants, NOLA in New Orleans and Emeril's Orlando, before coming to Lucky 32, owned by Dennis and Nancy Quaintance of the O. Henry and Proximity hotels. At Lucky 32, Pierce has gotten known for new interpretations of Southern classics, and for rediscovering old techniques. I ate there a couple of weeks ago and was fascinated by his salt-fermented pickles, a farmhouse method that's being brought back to life. He's also very active with the farmers at Greensboro's Curb Market. Pierce also is known for his Tuesday night fried-chicken dinners. I've never had the chance to go, but I know some authorities on fried chicken who swear it's worth a 90-minute drive for dinner. So I was crushed to hear that he's not bringing that with him. OK, OK, he might try to do it occasionally here. But Rock Salt will have a small kitchen, and be very focused on outdoor seating with a view over the creek. It's going into the space at the back of the shopping center that used to be a dry cleaner's. Pierce says he's focusing on embracing something new, with a focus on seafood. But he's also excited about embracing a new city. For someone from Greensboro, the Charlotte food scene is mystifying, he admitted to me. "Charlotte is right next door, and it's always intriguing to me. When I go there, I have no idea where I am. It's like Atlanta -- a lot of neighborhoods that have amalgamated. There's pockets of cool things going on and I want to be part of it." He's also excited about Charlotte's chef community. "I want to participate. I know Marc Jacksina and he's a crazy man." This week, we brought you the story of how Lisa Leake's blog, 100 Days of Real Food, became her best-selling book, "100 Days of Real Food." And that means I have a spare copy of the book to share. We'll pick a winner by random drawing on Friday. If you can't make the three-hour (or so) drive it to Kinston for a dinner at The Chef & The Farmer, you can get a taste of chef Vivian Howard's favorite things from Eastern North Carolina. A Southern Season, the specialty food store based in Chapel Hill, plans to open a Vivian Howard shop in its stores in Chapel Hill, Charleston and Richmond. Howard is currently appearing in the second season of her PBS show, "A Chef's Life." Southern Season's Howard section will happen in a couple of stages. First, there will be several collections in handmade wood crate of items chosen by Howard. The items will include products and cooking tools from her area of the state. The crates will range from $44.49 for a cornbread gift set up to $289 for Ben's Birthday Gift, with hand-forged tools and a number of artisan food products from around the Carolinas. Those will be available later in October. You can find the catalog listing here. Then, in early 2015, A Southern Season plans to add products inspired by Howard's recipes. Howard will make appearances in the stores in December: Dec. 11 in Richmond, Dec. 12 in Chapel Hill and early 2015 in Charleston. And yes, that raises the question about the long-awaited Charlotte location of A Southern Season. Sources with A Southern Season say to stay tuned: There will be more news on that very soon. The distillery, inside in the old Warren C. Coleman Mill, will eventually produce white liquor (AKA moonshine), start a whiskey for aging and create a fruit-infused beverage. Since it takes at least 2 years (and preferably 8 years or up) to create bourbon, they have a long wait for that aged product. It's definitely a local operation: The 113-gallon still was made in Concord by DA Moore, and the switch to start the operation will be thrown by Mayor Scott Padgett. Details: www.southerngracedistilleries.com. Who's doing the organic farming? We hear a lot of concern about the aging of America's farmers. The average age of a farmer in North Carolina is 57, according to the N.C. Department of Agriculture and Consumer Services. But perhaps that tide is starting to turn, at least in the non-conventional agriculture world. "Organic farmers and ranchers tend to be younger, more recent entrants to agriculture and far more likely to sell directly to consumers than the average U.S. farmer, says USDA. Data from the Census of Agriculture say 26 percent of organic producers are under age 45 - the U.S. farm average is 16 percent - and 27 percent went into farming in the past decade, compared to 18 percent of farm operators. Some 42 percent sold their products directly to consumers; 7 percent is the average. And, organic producers are more likely to invest in solar panels or wind turbines than farmers in general. Sales of organic products rose by 83 percent from 2007 to 2012, said USDA." My guess is that the growth in farmers' market would account for the very high percentage of organic farmers selling directly to consumers. And those sales and organic sales are starting to show healthy improvements. Any farmers out there care to weigh in? I'm trying to not feel jealous of food writer Perre Coleman Magness. When I met her on a recent food-writer trip to Memphis, she had just published her book "Pimento Cheese: The Cookbook" (St. Martin's Griffin, $21.99). Yes, that would be an entire book with variations of pimento cheese, an idea that has made every Southern writer I know slap his/her forehead with a "Dang! Why didn't I write that?" Perre (pronounced Perry) did, though, and she did a lovely job of coming up with variations and extensions of the beloved shredded cheese spread. Flipping through the book, I couldn't resist this, a great soup for cooler fall nights. From "Pimento Cheese: The Cookbook," by Perre Coleman Magness. HEAT the olive oil over medium heat in a 5-quart pot. Add the carrot, celery and onion and saute until soft, stirring often. Stir in 1 tablespoon of pimentos and juice, then stir in the garlic and cook, stirring, 1 minute longer. SPRINKLE the paprika over the vegetables and cooking until fragrant, about 1 minute. Add the flour, stirring to coat, and cook briefly. Pour in the chicken broth and stir well. Increase heat and bring to a boil, then reduce heat to medium, partially cover the pot and simmer 15 minutes. USE an immersion blender and puree until smooth. Or cool briefly, puree in batches in a blender and return to the pot. Stir in the milk. Increase heat to medium-high. When the soup is just steaming, add the grated cheese in handfuls, stirring after each addition. Don't let soup boil. Stir in the remaining pimentos and Worcestershire, then season to taste with salt, pepper and hot sauce. SERVE immediately, or cool and refrigerate up to 1 day. Reheat slowly over medium heat; don't let soup boil. Don't be fooled by the subtitle of the new book "Good Catch": "Recipes & Stories Celebrating the Best of Florida's Waters." Yes, the book (by Pam Brandon, Katie Farmand and Heather McPherson, an old friend and food editor of the Orlando Sentinel) does have a Florida-focus. But shrimp there are not that different from shrimp here. And the book is packed with great ideas even if the closest you get to fresh fish is the glass case at the supermarket. Everybody wants to eat more fish, and everybody is a little intimidated when we get in the kitchen with it, so a good book on cooking fish is worth raising a flag. One of my favorite chapters is "Year-Round Sauces and Accessories." Using something like this sauce as a dip for shrimp or as a base for a salad with leftover fish is a great catch. From "Good Catch," by Pam Brandon, Katie Farmand and Heather McPherson (University Press of Florida, $28). COMBINE all the ingredients in a food processor and puree until smooth. Cover and refrigerate until ready to use. NOTE: I backed off a little on the anchovy paste when I was testing the recipe and used only 1 teaspoon. What are you doing Sept. 26-28? See how this sounds: 10 books, 10 authors, lots of meals. Our State magazine and the O. Henry Hotel in Greensboro are sponsoring the Savor the South Weekend, a whole bunch of events to celebrate the UNC Press book series that includes my books "Bourbon" and "Pecans." Savor the South is a series of cookbooks on single ingredients (or ingredient-like events) from Southern cooking. Each book has 50 or so recipes, as well as stories, history and other information. The brainchild of UNC Press cookbook editor Elaine Maisner, four to six books are released each year, usually a couple in the fall and a couple in the spring. I was one of the first authors Elaine signed up, and I ended up being one of only two authors so far to do two books. Debbie Moose started with "Buttermilk," and now has second book coming out this fall, "Southern Holidays." The series, by the way, has become so popular that Maisner started out planning to do 14 books, but now is doing 24. So, Sept. 26-28 will be a celebration of the series at the O.Henry, including cooking demos, author panels and special meals. Ronni Lundy, the renowned author of several of her own books on Southern cooking, will be the special guest and moderator. The authors will be myself, Moose, Belinda Ellis ("Biscuits"), Andrea Weigl ("Pickles & Preserves"), Miriam Rubin ("Tomatoes"), Virginia Willis ("Okra"), April McGreger ("Sweet Potatoes," also out this fall), Kelly Alexander ("Peaches") and chef Jay Pierce, whose own book in the series, "Shrimp," will be released next year. Also attending: Elizabeth Hudson and Amy Wood Pasquini of Our State, chef Nancy King Quaintance, and Green Valley Grill chef Leigh Hesling. A one-night package for Friday night, including Friday dinner and Saturday breakfast and lunch, is $295, based on double occupancy. A two-night package, including Friday and Saturday dinners, Saturday and Sunday breakfasts, Sunday lunch, and a cocktail party is $449, based on double occupancy. You can get all the details and reservation information by calling 336-854-2000, or www.ohenryhotel.com. If you're there, please introduce yourself. I hear there will be quite a crowd. We have a winner in our random drawing for a copy of Francine Bryson's "Blue Ribbon Baking From a Redneck Kitchen." The cookbook goes to Diane Voorhis of Rock Hill. Thanks for entering, Diane. Stay tuned. We'll have another cookbook giveaway soon. When summer starts to slide into fall, I start watching for the fresh ginger. Grown by several of the Hmong farmers who come to the Charlotte Regional Farmers Market, it's a little different than the gingerroot sold at supermarkets. The skin is very thin and a little pink, and the tall green stalks are still attached. The women who sell it tell me they use the leaves to make a soup, and someday, I'll get around to trying that. In the meantime, though, I revel in the fresh ginger. It's as juicy as the green garlic we get in the spring, when the growing season is just beginning again. I find that the ginger has a little more heat than the ginger that has been cured for long keeping at the store. I've been watching for it for several weeks, and it finally showed up at the market on Saturday, at the beginning of the long weekend. I bought several fat rhizomes for $1. On Sunday, I was casting around for a use when I found this recipe at the website thekitchn.com. The ingredient list may look intimidating, but if you do any Asian cooking, you probably have most of this. Make it with gingerroot from the supermarket if you don't have a source of freshly grown ginger. The flavor will still be vivid. REMOVE the chicken from the package and pat dry with paper towels. COMBINE the rest of the ingredients in a food processor or small chopper and process until combined into a paste. Place the chicken in a bowl, pour the paste of it and mix well, until chicken is completely coated. Refrigerate up to overnight, or cook immediately. HEAT oven to 425 degrees. Spray a baking sheet with nonstick cooking spray. Spread the chicken in a single layer on the pan. Bake for 30 minutes, turning the chicken pieces halfway through the baking time. When chicken is cooked through (the internal temperature should be 160 to 165 degrees), remove from the oven and let stand 5 minutes. Serve hot. NOTE: You could probably also grill this with great results. Just keep an eye on the thighs to make sure the paste doesn't burn. This summer markets the sixth year for American Farmland Trust's "I Love My Farmer's Market Celebration," a campaign to raise awareness of farmer's markets. To take part, you just go online every week and pledge the amount of money you'll spend at farmer's markets that week. It's not binding and you don't have to give money, just promise that's what you'll try to spend. When AFT sent around a press release about it July 24, North Carolina was in second place in the number of pledges, but we've since slipped to third, with 301 pledges, behind Connecticut (406) and Virginia (349). You can make a pledge (take that, Hartford) and see how other states rank (so low, California?) here. First there was the Wine Shop, a great store on Park Road that opened in 1985, the year I moved to Charlotte. When I started learning about wine, that was the place for personalized advice from mighty wine dealer Frank Redd. The shop moved around, sticking close to Dilworth. Then a second location opened in the SouthPark area, so there was The Wine Shop Dilworth, 2442 Park Road, and the Wine Shop on Foxcroft, 7824 Fairview Road. More changes, more years. The stores split apart, and the Foxcroft store added food, a nice lineup of small plates to go with wines by the glass. Now it has a new name: The Foxcroft Wine Co. One thing has never changed, though: They're both great places to ask about wine, buy wine and learn wine. The Secret Chocolatier is also a business that has had a long trip to a great destination: The Dietz/Ciordia families started selling chocolates at local farmer's markets and providing desserts at farm-to-fork dinners before opening a shop at 2935 Providence Road, near Sharon Amity. This summer, they opened a second store, at Ballantyne Commons Road, 11318 N. Community House Road. Now, the latest news: They won six awards from the TasteTV International Chocolate Salon. In the Best White Chocolate category, Cardomom Crunch Bark won gold for best ingredient combination, silver for most unique and bronze for best white chocolate. In the Top Artisan Toffee category, the sea salt butter toffee won bronze for best ingredient combination and best taste, while white chocolate honey toffee won bronze for best texture. Congratulations, Bill et al. The new CityKitch cooking and teaching facility is marking the end of summer with a cooking camp for teenagers 9 a.m.-2 p.m. daily from Aug. 11-15. 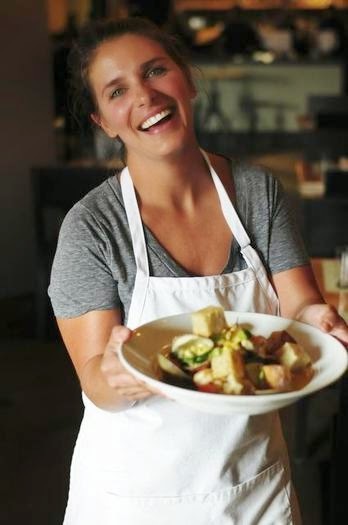 Taught by CityKitch owner Carrie Hegnauer, a chef-instructor at Johnson & Wales University, the class includes making a cooking demonstration video in the kitchen. The class is aimed at high school students, and includes kitchen basics, creating recipes, script writing and feedback. The Friday session concludes with a guest lunch and tour. The class is $349, but you can get a $100 discount with the code "TCK811." CityKitch, 9545 Pinnacle Drive, is a kitchen facility that includes rental commercial space and a variety of classes. Details and registration: citykitch.com or call 704-499-3046. The story on okra doesn't start or stop with fried okra. There is a lot more you can do with the fuzzy pods, including roasting it. Her herb-roasted okra adds a bright flavor with a hint of lemon. Pick around in the bins of freshly picked okra and try to find the smaller pods, the ones about the size of the first two digits of your index finger. But longer pods are acceptable here, too. From "Okra: A Savor the South Cookbook," by Virginia Willis. PREHEAT oven to 375 degrees. Line a rimmed baking sheet with a nonstick silicone liner or nonstick foil. PLACE the okra, mint, basil, onion, garlic and lemon zest in a large bowl. Drizzle with the olive oil. Season with the salt and pepper. Toss to coat well. Spread out on the prepared baking sheet and roast until tender, about 20 minutes. Taste and add more salt and pepper if needed. Serve immediately. NOTE: If you want a bit of heat, you could add crushed red pepper flakes or a more exotic pepper, like Aleppo or smoked paprika. Blues Traveler and a beer celebration sounds like the making for a beautiful evening. You'll have to wait, though: The first Charlotte Beerfest at BB&T Ballpark won't be until 5-9 p.m. Sept. 20. The festival plans announced this week include national and local beers -- Olde Mecklenburg, Foothills, D9 and Natty Greene's locally, plus SweetWater, Oskar Blues, Leinenkugel, Stella Artois, Magic Hat, Blue Moon, RJ Rockers and Goose Island, among others. Musical acts will be Blues Traveler, Charity Case and Simplified. The event will include brewing information, sampling, games and events. Admission will be $50, or $100 for a VIP admission that gets you in an hour early. The event raises money for the USO and Ace & TJ's Grin Kids. Details and tickets: www.charlottebeerfest.com. Starting Saturday, Tim Griner of the Charlotte Fish Company will sell fish sourced directly from the N.C. coast. Griner already sells to local chefs and will start bringing fresh fish to the market. This week, he expects to have grouper, black sea bass, red snapper, cobia and mahi mahi. Adding Griner to the lineup was a big step for market manager Pauline Wood. The Matthews market is serious about its rule that vendors have to grow or make their food within 50 miles of Charlotte. And the coast isn't within 50 miles. But Griner, she said, has the same values as the market's leaders, and she felt he would be a good seller to work with customers. She also felt that the demand for locally sourced fish was so high that it was worth making an exception. Still, Wood is so careful about making the change that she had already altered the signature on her weekly newsletter when she sent it out Friday morning: "Everything is grown, raised or made within 50 miles of Matthews and sold by the farmer, baker or artisan who produced it, with the exception of fish, which must be landed on the North Carolina coast." In other market news, Matthews also is adding freshly made Italian cheeses from Zack Gadberry of Uno All Volta. Get updates on the market and its fare here. The Matthews Community Farmers Market is open 8 a.m. to noon Saturdays year-round and 6-8 p.m. Tuesdays through Aug. 5 at 188 N. Trade St. in Matthews. Miss May's Garden Tea, 2-4 p.m. Aug. 3 at Historic Rural Hill Cultural Center, 4431 Neck Road, Huntersville. The tea is in honor of center benefactor May Davidson; tickets are $15 for adults and $7 "per well-behaved, supervised child" (which may be my favorite sentence in a press release all week). Includes light hors d'oeuvres, tea and other beverages. 704-875-3113 or www.ruralhill.net. August beverage tastings at the Gallery Restaurant at the Ballantyne Hotel & Lodge. These will go on every week through August. Each one is $25 and begins at 6 p.m. Pick your favorite subject: N.C. wines, Aug. 1; Liquid Art cocktail tasting, Aug. 8; N.C. beer, Aug. 15; wine-flight tasting, Aug. 22. Reservations: 704-248-4100. Scotch Society meeting, also at Ballantyne: 6-9 p.m. Aug. 29, $40. Seating is limited, reservations are required. Again, 704-248-4100. Astrological afternoon teas at the Ballantyne Hotel & Lodge: These will go on from 1-5 p.m. Tuesdays-Saturdays all year. They'll serve teas chosen for the zodiac sign of the moment. $32 for adults, $16 for people under 18; 704-248-4100. Charlotte Beer Fest, planned for Sept. 20 at BB&T Ballpark. There will be more details on this after a press preview today, but we can tell you there will be music and involvement from the breweries now featured at the park, including Olde Mecklenburg Brewery, Foothills Brewing and Natty Greene's, as well as national brands like Sweetwater and Magic Hat. The Feast of the Hunter's Moon, an antebellum-theme dinner, will be held Oct. 27 at Historic Rosedale Plantation, 3427 N. Tryon St. It's a long way off, but if you want to get on the list to buy a ticket, contact Deborah Hunter, dhunter@historicrosedale.org. Today's food front features 25 ways to top corn on the cob: Maple and mustard, tarragon and lime, cilantro and sesame. Great timing for me: I've been holding on to a recipe and waiting for corn season to return for months. I stumbled on this recipe on the now-defunct website Gilt Taste and tried it last year just as the corn season was ending, when it was too late to share it. It isn't something to put on corn, it's something to do with corn. I was well into adulthood before I looked at a yellow box of cornstarch and an ear of corn and made the connection. Yes, the powder that makes sauces silky starts as a liquid inside the kernels of your corn. If you get that liquid out, you can do silky smooth things with it. That's the idea behind corn butter: You juice the corn, cook the juice and cool it. You end up with an essence-of-corn paste. Use it as a spread instead of butter. Stir a tablespoon into risotto. Drop a spoonful on a pan of cooked squash. Heck, spread it on corn and revel in pure corniness. Great-corn season doesn't last long, people. Spread it around. Adapted from Gilt Taste. Can be doubled easily. PLACE the kernels and juice in a blender or food processor. Blend well, until completely pureed. Strain through a fine-mesh strainer, pressing on the solids, to extract all the corn juice. PLACE the juice in a small saucepan over medium heat. Bring to a simmer, whisking constantly. Cook 3 to 4 minutes, until it stops bubbling and begins to thicken, then cook about 30 seconds longer. Remove from heat. TASTE and see if it needs butter, salt or sugar to boost the flavor. Refrigerate for 3 to 4 days. We all have our weird hobbies, but I'll admit one of mine is especially strange: I collect tuna fish. Not the floppy fish themselves. No, I collect kinds of canned tuna. While I do make a point of buying wild-caught, environmentally friendly albacore tunas, like Wild Planet or American Tuna, I'm also partial to Italian brands. I keep an eye out whenever I'm an Italian market or gourmet supermarket, particularly in New York. Tucking a can or two of good tuna in my luggage is a lot easier (and cheaper) than shopping for shoes or pottery. One reason I do that is that I'm a fan of oil-packed tunas. While I understand some people prefer the lower-fat water-packed tunas, I have found that water-packed tuna just makes me load in more mayonnaise to keep it from being too dry. Instead, I lean toward dishes where the tuna is just one ingredient among many, like the French salad nicoise, a mix of green beans and potatoes topped with flaked tuna. I'd rather use a little good tuna than a lot of dry, tasteless tuna. On a recent hot night, I got a craving for an Italian-style salad featuring tuna and white beans. I adapted several recipes and came up with this. WARM the olive oil in a small saucepan over medium heat and add the garlic. Cook briefly, until just fragrant. Add the drained beans, the chicken broth and the sprigs of thyme. Cook gently about 10 minutes, letting the beans absorb the flavors. IN A SERVING BOWL, whisk the oil from the tuna with the grated zest and juice of the lemon. Remove the beans from the saucepan with a slotted spoon and stir into the dressing. Let stand a few minutes, until room temperature. Stir in the tuna, breaking into chunks, along with the cucumber and onion. SEASON to taste with salt and pepper and serve on lettuce leaves. NOTE: I used a 7-ounce jar of Tonnino tuna fillets, but you also could use a 5- to 7-ounce can of another oil-packed Italian brand, such as Cento or Ortiz, or an American wild-caught brand, such as Wild Planet or American Wild. I was looking around for a good side dish to add to my July 4 menu when I spotted this in the new fried chicken book "Fried & True," by Lee Brian Schrager. Elote usually is a Mexican street food that involves grilling corn on the cob, brushing it with mayonnaise, rolling it in shredded white cheese and serving it with a squeeze of lime juice. It's crazy-good, but also crazy-messy to eat on a stick. This version, from El Taco in Atlanta, cuts the grilled corn off the cob, sort of like you'd do for a corn salad, and mixes it with the elote ingredients. I'm planning to run it next week for our One Great recipe, but first I have to make it to see how it turns out. If you need a summer side dish and you want to cook along, here it is. I'd love to get your notes and feedback, at kpurvis@charlotteobserver.com. From "Fried & True," by Lee Brian Schrager (Clarkson Potter, 2014) and the restaurant El Taco in Atlanta. WHISK together the mayonnaise, lime juice, hot sauce, salt, sugar, garlic powder and pepper in a large serving bowl. Gently fold in the corn kernels, cheese and cilantro just until combined. Getting a really picture-perfect lattice top on a pie is harder than it looks. Take it from a veteran of lots of not-perfect food pictures: Those darn strips can break faster than old shoe laces. But stars and strips on a pie? Piece of, um, cake: Just cut out long strips of crust, then use the last strip to punch out a bunch of stars. Brush the stars with a little egg wash (an egg white whisked with about 2 teaspoons of water) so they'll stick to the crust, then brush the whole top and sprinkle it with sugar. Here are our recipes for apple pie, including the genius Red Hot Apple Pie from John T Edge's 2004 book "Apple Pie: An American Story," a recipe he got from a baker named Cindy Deal in Iowa City, Iowa. A shortcut way to get lots of shredded pork to use in other recipes. A new delivery system for olive oil. A jazzed-up burger recipe from the papers of Ernest Hemingway. An idea for how to keep parchment paper from sliding all over your counter when you roll out delicate doughs. A two-serving stir-fry for mango season. _ It's not a read, it's a watch, but the website Munchies has a nice video on Sam Jones of the Skylight Inn. _ And finally, New York Times writer Kim Severson put together a lovely rumination and slide show on the joys of hometown ice cream parlors. It will put you in the mood for a trip to one of the many N.C. classics, like Tony's in Gastonia, Cabarrus Creamery in Concord (sliced lemon!) and the Mooresviille Ice Cream Parlor. I had a baco-licious weekend. On Friday, I started the day doing more work on the Perfect Bacon Bowl with staff members from Edison Nation (we'll have more on that story in a couple of weeks). And on Sunday, I stepped up to be a judge at the Bacon & Brews Cruise-In at Atherton Market on South Boulevard. It was a fundraiser for the Piedmont Culinary Guild, a confederation of chefs, farmers and food producers. Some of my favorite dishes: The bacon cheesecake from 300 East, which used a really clever bacon crust, the Asian-themed glazed pork belly and slaw from the Art Institute, Alyssa Gorelick's fermented strawberry that she served with her dish, and the "whole hog" BLT by David Quintana of Southminster. Quintana applied bacon curing techniques to every part of a pig to make his creation, which showed an amazing amount of work. In the beers, some of my standouts were the Kings Breakfast Imperial Cream Stout from Sycamore Brewing, and the NoDajito mint-infused beer (much better than it sounds) from NoDa Brewing. Take a look at my video for more sights and sounds. The winners: Brewer Fonta Flora of Morganton took the Brewer's Cup, and the bacon winners were Heirloom Restaurant (first, for the pretzel "spoon" with honey mustard ice cream and house-cured tesa), food truck Chrome Toaster (second, for the pork belly tostado) and Queen City Pantry (third, for a bacon bruschetta).